The launch, every Yamaha fan was waiting for many years had unveiled its existence as a concept bike at the Tokyo Motor show last year. 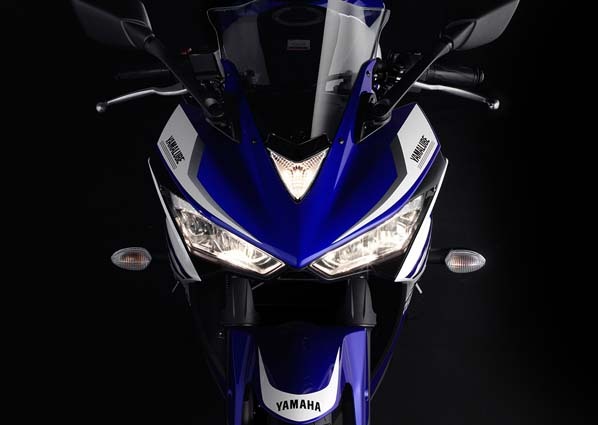 Yamaha has finally launched the much anticipated Yamaha YZF R25 in Indonesia. Built on a Diamond Combination frame R25 is powered with a 250cc, liquid-cooled, parallel twin DOHC and 8-valve engine. 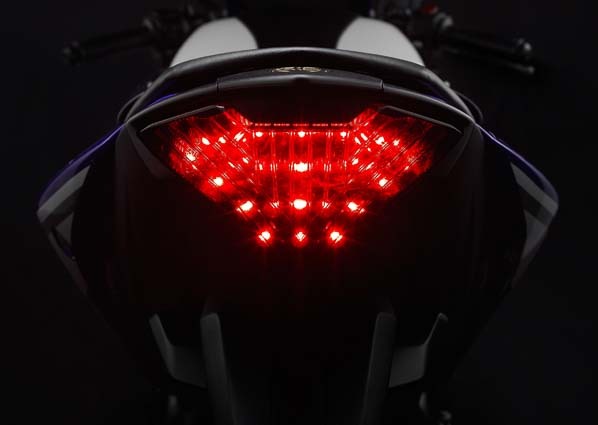 Nicknamed baby M-1, R25 is developed on basic design inspired from M1 (Mass forward silhouette design), predatory headlights with sporty air duct in the middle, tapered rear with LED tail lights, multi-layered fairing Wrap on either side of the bike are the characteristics of the R-Series, also aluminum alloy wheels fitted with tires tread width would give the bike stability. 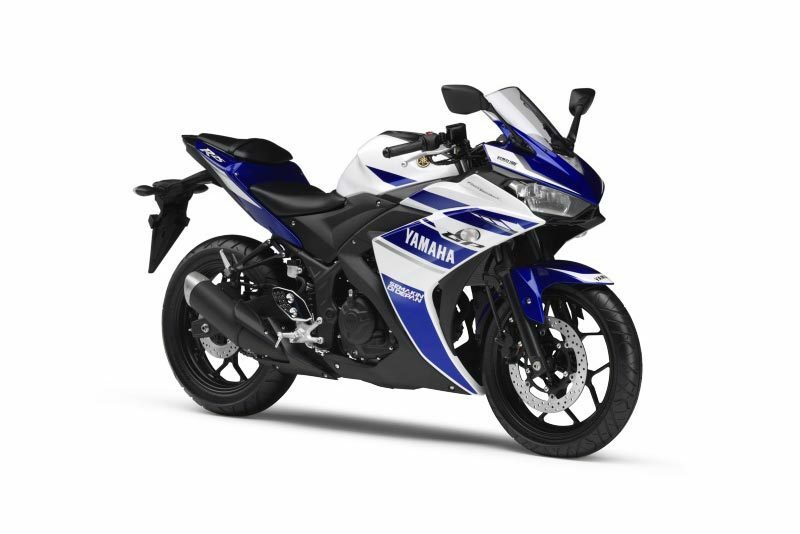 Maximum power output on R25 is 36 PS at 12,000 rpm and a torque of 22.1 Nm at 10,000 rpm paired with a six-speed gearbox, R25 is a high revving machine. Dimensions for R25 are 2090 in length, 720 mm in width and 1135 mm in height. It has a wheelbase of 1380 mm, ground clearance of 160 mm and the seat height is 780 mm. 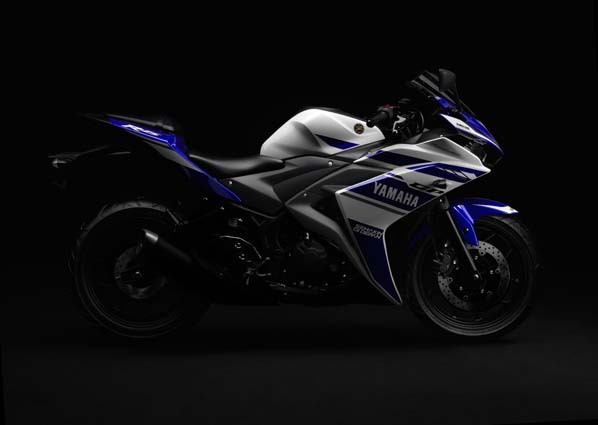 “A superbike you can ride everyday”, well that is what Yamaha has mentioned because of three important parameters. 1. Speed: Superior 4 stroke parallel twin 250 cc engine, DOHC direct-drive camshaft with 8 valve, high compression combustion chamber, intake channel down draft type, independent 12 hole injector, liquid-cooled and DiASil Forged Piston Cylinder. 2.Lightest: R15 is built on Diamond frame and compact engine design, the front suspension combined with the inner tube diameter of 41 mm, a monoshock configuration, asymmetric rear long arm and mid-ship muffler, all these parameters contribute in the overall weight of the bike which is 166 Kg. The weight is balanced perfectly having a good center of gravity. Floating-type front brake system with dual piston disc, order-type diamond with a special treatment that has 2 layers of coating, electrodeposition coating for the base layer and the top layer wrapped which makes it more durable and become a global standard for the frame of the bike. 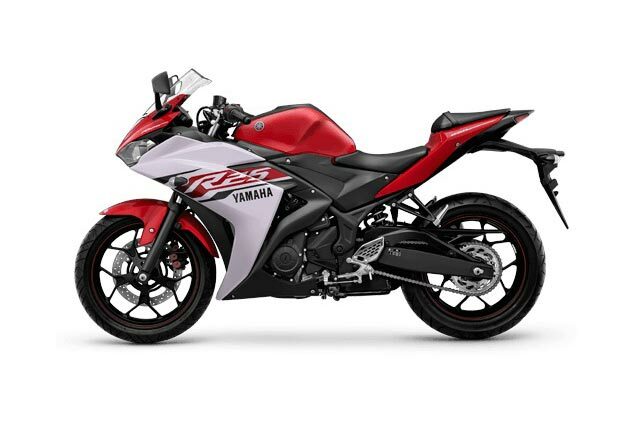 R25 is priced at 53 Million Rupiah (INR 2.7 lakhs) in Indonesia. The R&D mules have already landed in India and we can expect R25 to launch by the end of this year or early next year. 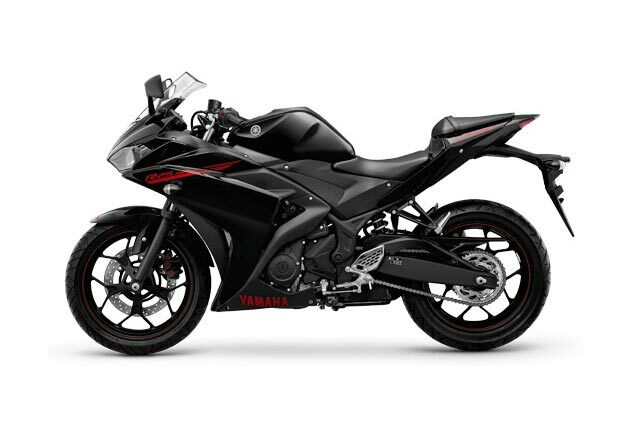 There are chances that Yamaha R25 would be priced somewhere around 2.5-lakh, making it cheaper when compares to the prices in Indonesia. Motorcycles above 250cc are taxed extra in Indonesia. Yamaha R25 reaches 196 kmph on Dyno!! 2016 Yamaha MT-03: All you need to know!